Sushi, Miso Soup, or even just good ol’ fried rice is essential to enjoying a Japanese dinner in America. But are we truly enjoying the food the way the Japanese do in their homeland? The experience of eating out isn’t just the delicious food. It’s the ambience, the service, and even the cleanliness of the restaurant. Have you ever wanted to be served by a robot or cuddled while you indulge on the best Japanese food? 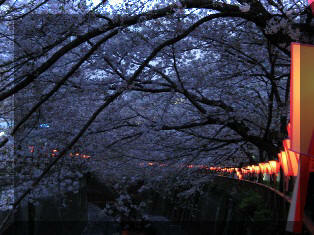 Well I've got 6 places for you that you must add to your Japanese Bucket List. 1. Dining with obscure animals. Have you ever wanted to eat with owls, cats, or even hedgehogs around you? Well, now you can. 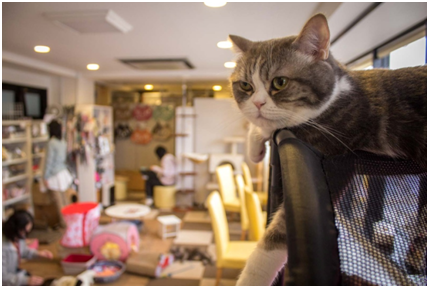 Head over to the many animal cafes in Japan including Akiba Fukurou Owl Café, Neko Jalala Cat Café, and the HARRY Roppongi Hedgehog Café. These three cafés and many others in the area allow you to sit back and relax while these cute animals surround you and maybe even come up for a cuddle. 2. I’ll have the hand roll with a side of cuddle. Yes. You heard me right. Enjoy a platonic relationship with one of the café girls. In Akihabara, Japan, you can pay to cuddle, nap, and even feed each other for anywhere from 20 minutes to 10 hours. The restaurant’s audience is typically aimed at single men, more specifically men who need a perfect remedy for a broken heart. 3. 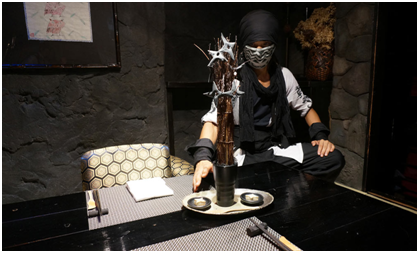 Ever want to wine and dine as a Ninja? Want to fuel your inner Ninja? Well, we have the place for you. Get settled into the Ninja Akasaka and be dazzled by their Japanese castle-style decor, ninja stars, and ninja waiters who will sneak up on you. It is a lively ambiance decorated with creative ninja themed dishes with French, Italian and Chinese accents. 4. Can’t get fresher than this. Every restaurant strives to have the freshest catches of the day, but no one does it like the Zauo Shinjuku restaurant in Tokyo. Once seated, you are given a fishing rod by which you are meant to cast a line into their massive aquarium and essentially catch your fish. 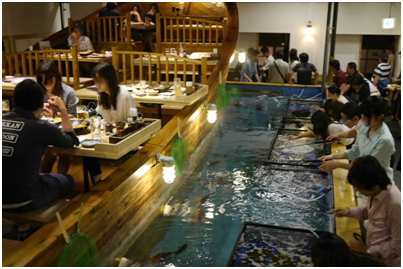 It is then prepared and served to your liking whether it is sashimi, sushi, deep fried, or even grilled. 5. A night of eyeball consumption and shared screams. Want to be locked up inside of a horror-themed restaurant? 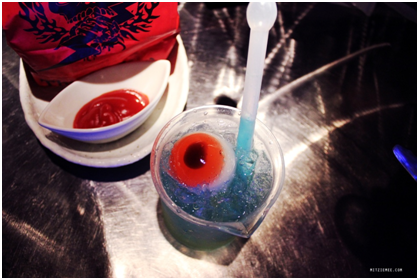 Add this one to your list if you want to enjoy drinks served in test tubes with floating eyeballs with good company. The aesthetic is incredible, but the staff is everything. Roaming the halls and jumping out at clueless customers, the staff grant a terrorizing experience on their guests. 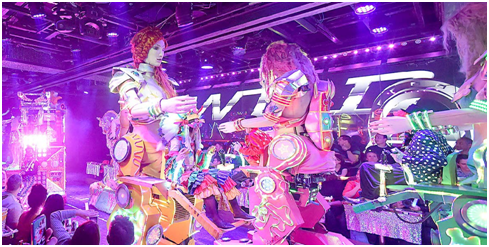 Tokyo's robot restaurant is one unforgettable, out-of-this-world performance. As you sit down and enjoy your delicious food, the show begins. The dining experience grows crazier every minute that passes. Robot dancers, animals, and monsters take the stage alongside human performers while eccentric music and lasers fill the room. 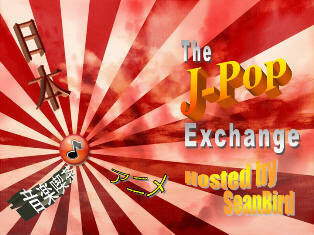 A fun and unique way to experience Japanese pop culture.